We need not listen to what he says about himself. Ask any of the following, their opinion of State Senator Craig Estes! Senator Estes – surrounded by supporters. All we know about Craig’s opponent is what we’ve heard him say about himself. Would you vote for a candidate for State Senate if you knew he makes his living working for trial lawyers – if he boasts of being a forensic accountant – someone who considers himself a ‘professional witness’? 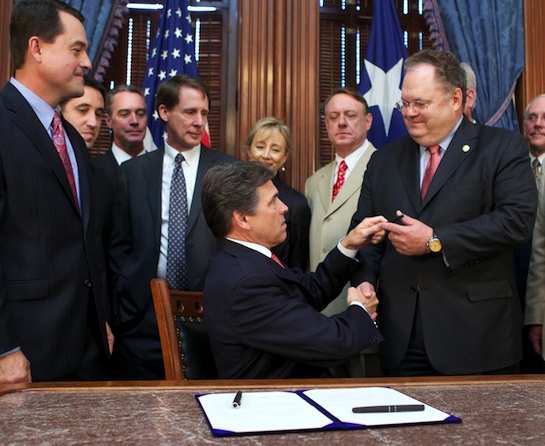 It has taken many years to get “loser pays” tort reform in Texas. Do we really want to elect someone who relies on trial lawyers for his livelihood? It’s not what he says about himself, it’s what he does that matters!